A commemorative edition of a perennial favorite—The Graveyard Book by Neil Gaiman, which has sold over one million copies and is the only novel to win both the Newbery Medal and the Carnegie Medal. Special content in this edition includes the story behind The Graveyard Book from Neil Gaiman and sketches by Dave McKean. 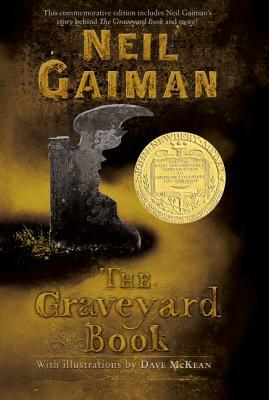 The Graveyard Book is the winner of the Newbery Medal, the Carnegie Medal, the Hugo Award for Best Novel, the Locus Award for Young Adult Book, the American Bookseller Association's "Best Indie Young Adult Buzz Book," a Horn Book Honor, and Audio Book of the Year.